Will Seyssuel Become a New AOP in France? Château de Seyssuel. Photo by Olivier Colas. 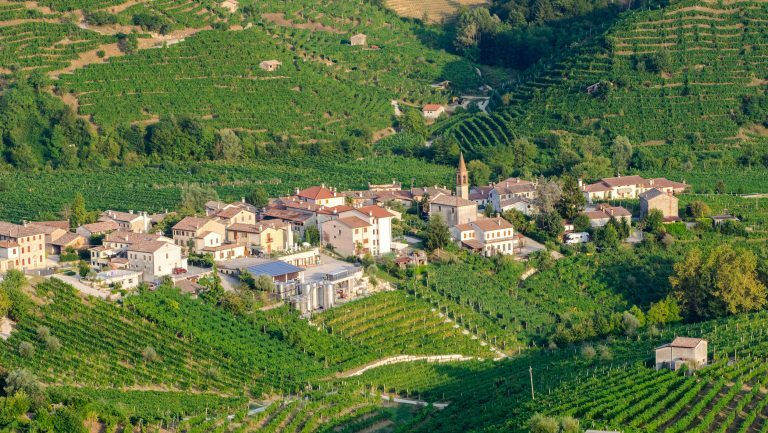 American humorist and longtime Washington critic James Boren once quipped, “Bureaucracy is the epoxy that greases the wheels of progress.” So might groan any vintners’ association hoping to get a new appellation in the books. But as tedious as wine producers in the New World might find dealing with their respective government agencies to be, it’s difficult to imagine their French counterparts could easily commiserate. For the French, instead of trudging along at a sluggish pace, the Appellation d’Origine Protegée (AOP) process, overseen by the Institut National de l’Origine et de la Qualité (INAO), moves at a glacial one. It’s not every day that a new wine region springs up in France, and once one does, the march up the quality pyramid to AOP status can take generations. It makes sense, in a way. Wine flows so deeply within the lifeblood of the French national identity that the integrity of its highest tier must be defended with the utmost scrutiny. Considering the scale of France’s vinous history, how long, really, is a decade, or two (or three)? Nevertheless, should patience be a virtue, French vignerons petitioning for AOP status merit immediate beatification. 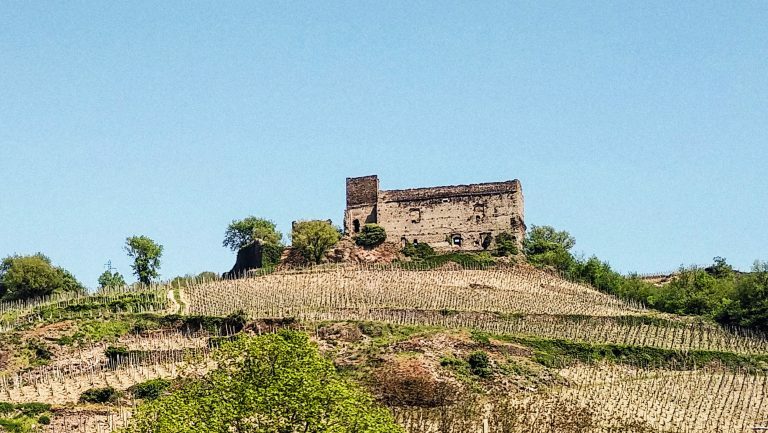 Some such dreamers can be found in Seyssuel—a blossoming patch of vineyards just north of Côte Rôtie that’s attracting some of the Northern Rhône’s biggest talent. On an October afternoon, Pierre-Antoine Gaillard, his golden retriever, and I climbed the hillsides of his family’s holdings. His father, Pierre, and his collaborators were the first to cultivate grapes here in recent memory, beginning in 1996. But before Seyssuel’s 20th-century vanishing act, the area once yielded wines that were the height of fashion in Roman Gaul, and continued to produce Syrah and Viognier of acclaim until the onset of the phylloxera crisis. Although Côte-Rôtie and Seyssuel are rooted in a shared history, Seyssuel lost so much in these past two centuries of what Côte-Rôtie managed to recover. Not the least of which is the aspiration of AOP status—or AOC (Appellation d’Origine Contrôlée), as it was called before 2008. (The two terms continue to be used interchangeably, though AOP is most current.) Côte-Rôtie got in early, earning those three coveted letters in 1940, shortly after the foundation of the INAO. Seyssuel must instead bottle its wines one tier down on the French quality hierarchy. The smallest appellation available to its producers is IGP Collines Rhodaniennes, which corresponds to the entire Rhône Valley north of Montélimar and permits myriad grape varieties from Gamay to Cabernet Sauvignon. Standing in Gaillard’s vineyard and looking onto the Rhône I was reminded of Gatsby staring at the green light: His dream must have seemed so close that he could hardly fail to grasp it. But instead of gazing upon Daisy’s dock, it’s the shimmering rooftop of the Château d’Ampuis and the fabled vines of the Côte Brune ascending as its backdrop. Yet unlike Gatsby, Seyssuel is on track to “repeat the past,” or at least once again become a wine region of renown. Today, a quorum of ambitious producers, primarily established vignerons in Côte-Rôtie and Condrieu, are betting on Seyssuel, an unofficial name for the swath of land that extends from north to south between the communes of Chasse-sur-Rhône, Seyssuel, and Vienne. The vineyards face southwest at a narrowing on the left bank of the Rhône, after which the river changes course and Côte-Rôtie begins on its opposite side. Many wines already fetch substantial prices, but their makers hope to soon attach an AOP to their bottles as well. More than two millennia ago, in the second century BCE, the Roman Empire stretched its western territory into Gaul, bringing with it vines to be cultivated in the Northern Rhône Valley upon the freshly carved terraces. (Some argue that the Greeks arrived here earlier, potentially with Syrah, although those theories are widely debated.) Rome’s stronghold in the area was Vienna, as Vienne was called then—rather than Lugdunum, or modern Lyon, which is far more populous today. At one point, the population swelled to nearly 30,000 (roughly the same number of residents occupying Vienne today), and the Romans supplied the city with an amphitheater, excavated in the 1930s, that could seat almost half of its inhabitants. Côte-Rôtie’s history was born in those same days, and these passages likely refer to wines hailing from either side of the river. In fact, Côte Rôtie and Seyssuel enjoyed parallel trajectories for 95% of their existences. After the fall of Rome and over the course of the Middle Ages, records of Northern Rhône viticultural activity became scarcer. But, the wines of Vienne and Seyssuel are well-documented in the early modern era. While not on par with the likes of Hermitage, the wines were prized. In his 1787 Histoire naturelle de la province de Dauphiné (Dauphiné is a former province whose area generally corresponds to today’s Isère, Drôme, and Hautes-Alpes departments), French geologist Barthélemy Faujas de Saint-Fond describes Seyssuel’s schist slopes, and estimates them yielding roughly half the production size as in Côte-Rôtie. He provides a tasting note for the whites: “crystal-clear, light and dry, but very flowing.” The reds he enjoys for their “agreeable perfume,” and suggests consumption after two years, but six or seven for the more “attentive producers.” A few decades later, French vintner and wine writer André Jullien noted Seyssuel in his seminal 1816 work Topographie de tous les vignobles connus for producing “wines that have body, alcohol, and a subtle violet aroma that makes them agreeable”—a description not dissimilar from many I jotted in my notebook while visiting the region. It’s only recently that Seyssuel fell off the wine map, its 20th-century absence more of a blip in its timeline. In the Northern Rhône, as in the near whole of Europe, the 19th century delivered the double header of oidium and phylloxera crises. With little time for vineyard recovery, the two World Wars shipped a large portion of the men to the front, and many not to return. The diminished labor force proved particularly fatal to the Northern Rhône, whose vertiginous slopes demand intense physical ability. In 1945, the final year of World War II, Côte-Rôtie’s grapes would sell for 45 centimes a kilo. Apricots were awarded more than twice that—one franc. Côte-Rôtie had its saviors, including Etienne Guigal and Joseph Vidal-Fleury, whose family wineries kept the appellation’s pulse beating. But even a legendary vigneron like Marius Gentaz diversified to both grapes and vegetables to survive. As venerated as the Rhône Valley is today, it’s hard to imagine that as recently as 1987, Robert Parker described its wines as “France’s and the world’s most underrated great wines.” Certainly, such an epithet could not be attached to the region now. Yet it does maintain an element of truth for Seyssuel. While Côte-Rôtie housed Guigal and Vidal-Fleury, Seyssuel had no such life support. Even earlier, in 1940, both Côte-Rôtie and Condrieu earned AOC status, but Seyssuel and its abandoned vines were left appellation-less. Seyssuel’s vineyards continued to fall into disarray, while the community turned to new industries, such as chemicals and textiles, diverting labor further from the vineyards. Meanwhile, the French market demanded bulk wine, and Seyssuel’s land proved far too expensive to harvest for the region to appropriately contribute. Some ripped out their Syrah in favor of hybrid varieties to make bistro wines, but when that failed, those too were uprooted in favor of cherry trees, almonds, and other crops. Knowledgeable growers across the Rhône didn’t forget that vines once grew in Seyssuel, however. That was the case for Northern Rhône producer Pierre Gaillard, whose family also had a vineyard in Ternay, just north of Seyssuel. While working for Gaillard in 1991, fellow vigneron François Villard remembers driving past the ancient terraces and Pierre telling him of the one-time famous wines they supported. A few years later, after Villard had gone off on his own, he visited the site. “For me, the place was fabulous—no vineyard, all terraces, old walls, but the soils seemed the same as Côte-Rôtie.” He summoned Gaillard for dinner, got their mentor Yves Cuilleron on the phone, and the trio decided to replant a Seyssuel vineyard. In 1996, they put roots in the ground, birthing their project, Les Vins de Vienne, and igniting the catalyst that would reinvigorate the region. Today, they continue to bottle wines together under their Les Vins de Vienne label and include Seyssuel wines in their individual portfolios. It didn’t take long for Seyssuel to capture the attention of other major names in the Northern Rhône. In 2000, a second collaborative effort, Les Vignobles de Seyssuel, was founded by Louis Chèze, Laurent and Pascal Marthouret, and Georges Treynard. Stéphane Ogier observed the nascent Les Vins de Vienne project when interning for Gaillard. He followed suit and planted his own vineyard there in 2001, as have such established producers as Pierre-Jean Villa, Christophe Billon, Julien Pilon, and Alain Paret. Hermitage producer Michel Chapoutier provided the first investment from a large négociant in the early 2000s. Beyond the quality of the site, his son Maxime notes that it was important for the family to expand north, even if just by a few kilometers, as they considered the possibilities of climate change. “It’s a very similar quality of site to Côte-Rôtie or Condrieu, but with a northern climate. . . . [We are] trying to find some place where we can still have some well-balanced wine, and going up north would be one of the solutions,” he explains. Chapoutier also notes the appeal of the proximity to Lyon, France’s gastronomic Mecca. For Stéphane Ogier, much of Seyssuel’s attractiveness comes from the financial opportunities. As Côte-Rôtie’s planting boom decelerates, with most of the ground already covered and the costs sky-high, Seyssuel offers a path for ambitious newcomers with less capital. “The price is still reasonable, and so it’s still possible in this area for people who want to start . . . to buy land, plant vineyards,” he says. Today, 18 producers grow roughly 40 hectares of grapes in Seyssuel, with a handful yet to release wines from their young vineyards. Meanwhile, the original plantings continue to mature, with their resulting wines revealing further depth. Murmurings of creating an AOC began with the early investors in 2004, and in that year, the producers swiftly organized an association, Vitis Vienna, a nod to the region’s Roman heritage. In 2015, Vitis Vienna submitted its initial dossier to the INAO, in whose hands the fate of their proposed appellation lies. Like the shift from amphora to barrel or the DNA fingerprinting of Vitis vinifera, the formation of the INAO brought a watershed moment in the history of wine. Its origins lie in the wake of phylloxera’s French arrival. While vine-grafting solved one problem for France in the late 19th century, the phylloxera epidemic nourished another long-incubating crisis: fraud. With France’s vineyards ravaged, the market was fed cheap wine-adjacent alternatives—raisin wine being one notable example, fermented from dried grapes from such far reaches as Turkey and Greece. Many audacious schemers would even dare to slap the name Bordeaux or the like on their raisin-derived products. Even once the vines themselves recovered and bore healthy fruit, the French public had grown so accustomed to mediocre “wine” that differentiating between the actual product and its counterfeits proved a difficult task for the average drinker. By the 1910s, the amount of raisin wine in France diminished, but issues with fraud persisted. While many wines were sold under the names of France’s most famous regions, there was no guarantee that the name matched the liquid on offer. Instead of purchasing from producers, consumers bought from merchants, who would blend different regions of France (and often other European countries) to their liking, and market the wine under their own brand. Portions of Southern Rhône wines, for example, commonly found their way into Burgundy to give Pinot some extra muscle. French exports, too, were generally shipped in cask rather than bottle, allowing the same practices to be performed in foreign markets. The French populace may have recognized the names of their homeland’s to-be appellations, but there was little understanding of typicity. The scant amount that did exist was further impeded by the équivalence system, whereby if one wine tasted “equivalent” to the perceived character of that coming from another region, it could be sold as the latter. At the conclusion of World War I, the Treaty of Versailles stipulated that Germany must respect France’s wine appellations, nebulous as they may be. Keeping in mind that the authenticity of those appellations was hardly acknowledged even on French soil, the French government acted with new legislation to combat wine fraud. A new law, passed on May 6, 1919, awarded civil courts in French districts the authority to establish boundaries and designate appellations for wine, spirits, and other products. An important precursor for the AOC system that would follow a decade and a half later, this new system didn’t come without its faults. These local judges often had little understanding of wine, proceedings drew bureaucratic and lengthy with endless appeals processes, growers could plant whatever grapes they wanted (and not infrequently hybrids), and borders commonly followed administrative ones, rather than showing any linkage to soil, climate, or other markings. But perhaps most important, the 1919 law didn’t unify an appellation’s products under any common viticultural or vinification criteria. A self-selected group of vineyard owners in Châteauneuf-du-Pape recognized these shortcomings, and in 1923, they organized under the guidance of Baron Pierre Le Roy de Boiseaumarié of Château Fortia. Le Roy de Boiseaumarié imposed rigorous standards, curbing vineyard area to the most unfertile rocky soils and standardizing certain methodologies, such as a ban on chaptalization. While such restrictions would ultimately exclude the mass of less conscientious vignerons in the area, astonishingly the court at Nîmes authorized Le Roy de Boiseaumarié’s proposed Châteauneuf-du-Pape appellation in tandem with his requested production constraints. (Some postulate that Le Roy de Boiseaumarié’s unlikely success was in part due to his known heroism as a World War I fighter pilot.) At the same time, approximately 145 kilometers due west, Roquefort achieved the same objective for cheese in 1925, not only limiting the boundaries of its milk sources, but specifying measures for how Roquefort is produced. In essence, what Châteauneuf-du-Pape (and Roquefort) created was not only an appellation, but a controlled one. Senator Joseph Capus saw Châteauneuf-du-Pape as a valuable prototype for what the whole of France could accomplish. Amid a global depression, a series of French legislative efforts strove to improve quality in the late 1920s and early ‘30s, including bans on American and hybrid varieties. In 1935, upon some relief in the economic crisis, Capus’ vision was finally realized as the French government instated within the Ministry of Agriculture the Comité National des Appellations d’Origine (renamed the Institut National des Appellations d’Origine, or INAO, in 1947, and rebranded again in 2007 as the Institut National de l’Origine et de la Qualité). While the Comité did not void the existing appellations approved since 1919, it provided an avenue for regions to be deemed Appellations d’Origine Contrôlée, whereby they must adhere to stringent protocols beyond mere cultivation within geographic limits. The Comité centralized such authority into a single national body, rather than local civil courts, to be comprised of knowledgeable industry personnel and relevant government ministries. In addition to establishing these AOCs and developing their individual regulations, the Comité would also defend their names and protect them from fraud on the global market. Beyond the INAO’s revolutionary achievements within France, its influence galvanized the country’s neighbors to follow with their own appellation systems made in France’s image, whether that be the Denominazione di Origine Controllata scheme in Italy, Denominação de Origem Controlada in Portugal, Denumire de Origine Controlata in Romania, or Vina Originalni Certifikase in the Czech Republic. Even in the New World, where appellations are less restrictive, the INAO’s influence can be deeply felt. In 2008, the European Union enacted sweeping legislation to centralize all of its member nations’ various appellation regimes under an umbrella structure of Protected Designations of Origin (PDOs). At that time, France’s AOCs were redubbed AOPs, although the term AOC remains widely used today and can still legally be featured on labels. Today, the INAO oversees France’s more than 300 AOPs for wine, as well as their IGP tier. Outside of wine, the INAO administers AOPs for the country’s other imbibable and edible products. Cognac, Calvados, honey from Corsica, olive oil from Nyons, Charentes-Poitou butter, green lentils from Le Puy, bouchot mussels from Mont Saint-Michel Bay, and, yes, Roquefort—they all have AOP status. What started in Châteauneuf-du-Pape became a global standard, reshaping a fundamental tenet of fine wine and other delicacies, and redefining how a “sense of place” can be protected and communicated on a bottle. Most of France’s most classic wine regions were codified into appellation law within the first few years of the INAO’s existence. 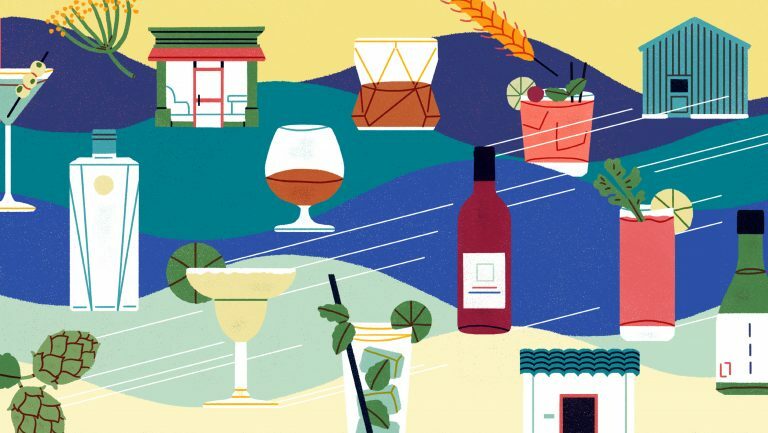 A handful of well-recognized names missed the initial thrust—Savennières and Saint-Joseph were approved in the 1950s; Pessac-Léognan and Marsannay came in the 1980s—but overall, the French wine map now evolves at tortoise-speed. Each decade, the INAO approves only a small number of new AOPs from scratch. Much more frequently, the INAO’s work concerns the modification of AOP laws, or the elevation and reclassification of existing appellations. Each of France’s broader wine regions has fallen into its own rhythm. Apart from the occasional re-ranking of Saint-Émilion’s châteaux, Bordeaux is basically set in stone (although Côtes de Bordeaux AOP was created in 2009), as is the Loire. In Burgundy, the INAO oversees changes in premier cru or grand cru status—for example, the premier cru classification project in Pouilly-Fuissé or Lamarche’s successful 1992 petition for a grand cru upgrade for La Grande Rue in Vosne-Romanée. Alsace, similarly, involves the INAO with its vineyard classifications, such as all of its grand crus becoming AOPs in 2011. The Languedoc is one of the hottest progenitors of new appellations, with Pic Saint-Loup achieving AOP status in 2017, La Clape in 2015, Terrasses du Larzac in 2014, and Picpoul de Pinet in 2013. That’s a lot for France—but by comparison, the TTB approved 20 new AVAs in California alone between 2013 and 2015. Yet the Rhône Valley isn’t absent AOP activity. Its most recently created AOP was Cairanne, in 2016, preceded by Duché-d’Uzès in 2013, Vinsobres in 2006, and Beaumes-de-Venise in 2005 (the fortified wine Muscat de Beaumes-de-Venise, conversely, first gained appellation status in 1945). These regions didn’t come out of nowhere, however. Rhône Valley appellations typically flow through the AOP quality pyramid, starting off as Côtes du Rhône, and subsequently the more prestigious Côtes du Rhône-Villages, at which point the region’s name can be appended (Côtes du Rhône-Cairanne, as it once was). Finally, a region may one day be elevated to cru status, no longer tethered to Côtes du Rhône on labels, and adhering to its own set of appellation rules. The Languedoc employs a similar process, whereby appellations will pass through the Languedoc AOP (formerly Côteaux du Languedoc) before fending for themselves. Each step up this bureaucratic ladder can feel excruciatingly long. Cairanne, for example, has been part of the Côtes du Rhône since its inception in 1937, held Côtes du Rhône-Villages status in 1967 (one year after the Côtes du Rhône-Villages rung was more generally created as a category), and had to wait a near half-century until its apotheosis as cru in 2016. But despite all the dissimilarities, Seyssuel producers now appear more resigned to the notion of going through the more traditional channels, but there’s some hope for a more streamlined path. “I think because the quality of Seyssuel is very high, they will become Côtes du Rhône first, and very soon after Seyssuel [AOP]. I don’t think we need to pass between Côtes du Rhône-Villages,” says Philippe Pellaton, President of the Syndicat des Vignerons des Côtes du Rhone, the governmental vintners’ association for Côtes du Rhône AOP. So, how exactly does a region work with the INAO, and how will this likely play out for Seyssuel? For the Rhône, “Every 10 years we try to have a new appellation,” says Pellaton. Cairanne was the most recent, and Seyssuel comes soon on the docket, following only the anticipated elevation of Laudun from Côtes du Rhône-Villages to cru. Despite the daunting path traveled by its predecessors, Seyssuel has several unique advantages. The INAO defines an AOP as “the name of a region, delimited place, or in exceptional cases, a country, that designates a viticultural product . . . where the quality and characteristics are essentially or exclusively due to a particular geographic locale and the natural and human factors inherent there, elaborated exclusively from grapes coming from the geographic zone in question, where the production is limited to the geographic zone, and obtained exclusively from grape varieties from the species Vitis vinifera.” Eric Rosaz, CEO of Inter-Rhône and former director of the alcoholic beverages category at the INAO, simplifies this to three primary criteria a wine region must meet to become an AOP: “A geographic zone, production specifications, and a savoir-faire [know-how] recognized through its history.” The latter two pillars will factor more into the Seyssuel’s specific process down the line, but to become Côtes du Rhône, the first hurdle is in defining the boundaries. “It’s very simple, the first step,” assures Pellaton. It would seem as such—vines have only recently been reintroduced to Seyssuel, and there is a finite number of them. Still, creating the delimitations of Seyssuel comes with its challenges. To become an AOP, borders must be drawn, ideally by some unifying property, whether that be historic vineyard area, soil type, elevation, or natural boundaries such as bodies of water or mountains. This process can get political, with producers inevitably feeling unjustly excluded from the map. For Seyssuel, the project only traverses the three communes of Seyssuel, Vienne, and Chasse-sur-Rhône. The first task, however, isn’t to draw the boundaries of the proposed Seyssuel AOP but to extend those of the Côtes du Rhône. 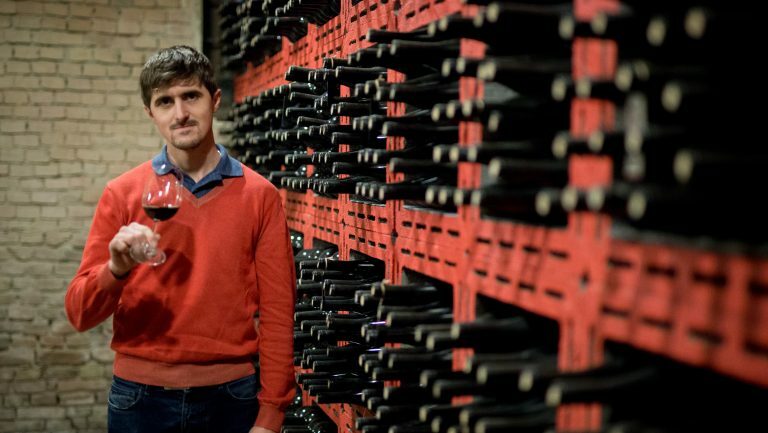 While production regulations may change, according to Pellaton, this is an unprecedented move for the Côtes du Rhône, whose lines have remained unmoved since the appellation’s approval in 1937. Pellaton sees this not only as an opportunity to bring Seyssuel into the Côtes du Rhône fold, but also to adopt other smaller patches in the Southern Rhône that have long looked for an upgrade. “For me, it was important to have a new vision of the delimitation in the south and in the north,” he explains. Pellaton suggests it may take another two or three years to finalize these boundaries before they can be approved by the INAO. Côtes du Rhône-Villages AOP does not yet include any northern villages, and its regulations do not provide any exceptions to the required minimum 40% Grenache. Should Seyssuel ultimately have to pass through Côtes du Rhône Villages, laws will need to be amended to include Seyssuel’s breed of wines. But it is not until petitioning for cru status that Seyssuel will have to construct a set of production laws to present to the INAO. 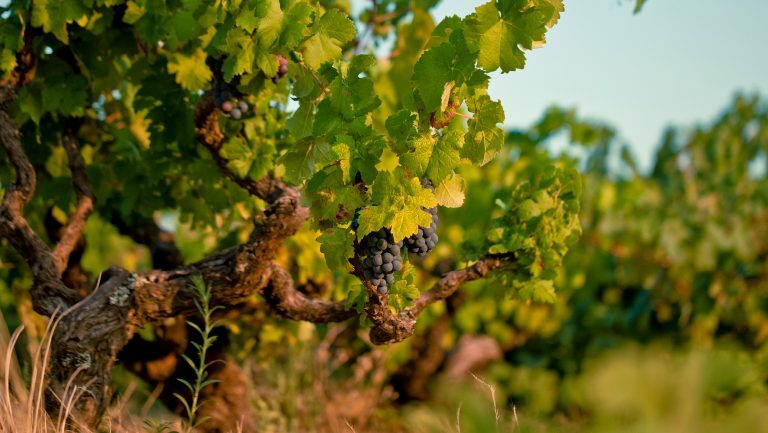 Typically, the vignerons will collectively decide upon these regulations together, and upon review, the INAO will either accept or amend their proposal. Since Seyssuel vinifies essentially two categories of wines—Syrah and Viognier—their laws will likely mirror much of those of Côte-Rôtie and Condrieu across the river. All of the regulations are logged in the cahier des charges, the most notable document submitted in the dossier to the INAO. The cahier des charges lists everything required of a wine to meet AOP criteria. Geographic boundaries, vine training methods, irrigation, herbicide policies, varietal breakdowns, fermentation procedures, minimum natural alcohol levels, bottles shapes—it’s all specified in writing. Seyssuel’s drafted cahier des charges, for example, forbids continuous presses. 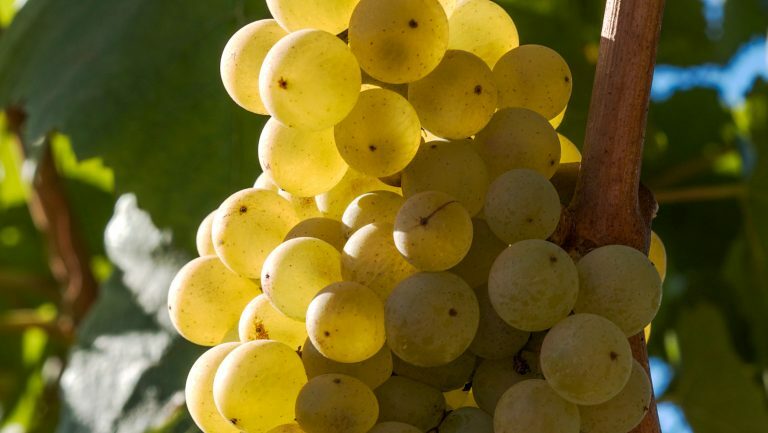 The document also notes where winemakers can decide for themselves, such as Seyssuel’s lack of directive for malolactic fermentation in white wines. After years of tossing back and forth between the INAO and a hopeful region, a solidified cahier des charges serves as the guidepost for producers in every AOP to make sure their wines abide by the rules. But what about that third pillar Rosaz mentioned—the savoir-faire? Another way to look at this “know-how” is what the INAO describes as a “casual link” between the delimited region and the production regulations. While this may seem rather elusive, the INAO considers that link “the essential point that justifies submitting an AOC request.” Put simply, the INAO wants proof that a proposed AOP’s wines demonstrate a quality that can and should only possibly come from within its bounds. This connection can be forged through unique organoleptic qualities, longstanding history, local traditions, or reputation, among other factors. One such way to measure reputation is to look to the market. Can bottles from a petitioning region sell at prices consistent with AOP-level wines? For Seyssuel, this will hardly be an issue. While the name Seyssuel may be unfamiliar to consumers, many of the producers bottling wines from the region are respected leaders of the illustrious adjacent appellations and have serious marketing power. The prices reflect that, with many sitting in the $30 to $40 range, well above the average Côte du Rhône, and already in line with a solid Saint-Joseph. As for history, Seyssuel possesses that in spades and shares traditions with its Northern Rhône neighbors. After the dossier is submitted to the INAO, it is reviewed by a panel, comprised solely of industry professionals. Should the project pass first muster, the INAO will launch a commission d’enquête, or “commission of inquiry,” that will meticulously consider every detail of the proposal. Representatives of the INAO and its consultants spend time in the field, evaluating the suggested delimitations and meeting with vignerons, as well as their detractors, to gauge readiness for appellation status. Once the commission deems the proposal satisfactory, it is returned to the INAO’s national committee. Should it meet their expectations, the INAO implements a procédure nationale d’opposition (PNO), or “national opposition procedure.” In this phase, the details of the proposal are made public in the Journal officiel de la République française, after which the INAO allows a two-month hearing period, where opponents can bring their objections. Should none prove disqualifying, all appropriate bodies, including the INAO’s director, will sign on the dotted line and voilà—France has a new AOP. Today, Seyssuel is midway through this process. A preliminary commission traveled to the region in 2018, and a more exhaustive visit is scheduled for 2020. While Côtes du Rhône status is a near certainty for Seyssuel, they’re hoping to lay the foundation now for a speedy ascent to cru. One final note—despite Seyssuel’s advantages, Seyssuel AOP will never likely exist. At least, that’s not what it will be called. The INAO has already found issue with the name. It sounds too close to Seyssel AOP, the Savoyard appellation cultivating Altesse, and the INAO cannot approve new AOPs that will strike further confusion (never mind old ones that approach homophony like Rully and Reuilly). Other names have already been suggested, and all include some permutation of Seyssuel or Vienne, but no decision has been made. And there’s no rush. Until judgment day, there will be plenty of years to enjoy Collines Rhodaniennes IGP, and hopefully soon Côtes du Rhône, as the wheels of the INAO do their work. Special thanks to Florian Marcelin for his assistance in researching this article. GuildSomm is a nonprofit international membership organization for wine professionals that promotes education and community. Articles, podcasts, and videos are publicly available on GuildSomm.com and cover varied topics on the world of wine. Members have access to in-depth educational materials, an active online community, masterclasses, and more. The Loire variety is gaining traction. Is it ripe for a renaissance in the New World?